﻿A person who is literate can use reading, writing, speaking, and numerical skills effectively to understand and participate in the world around them. ﻿Check out Literacy Quebec's Video Project More Than Words on a Page that depicts the struggles of living with low literacy. The series features testimonials of adult literacy learners and volunteer literacy tutors. When it comes to low literacy, the image that usually comes to mind is an individual who cannot read or write at all. The reality is that there are levels of literacy. These levels affect many aspects of life and society. There are correlations between levels of literacy and a person's health, their likelihood of civic participation, their chances of employment, their levels of self-confidence, etc. 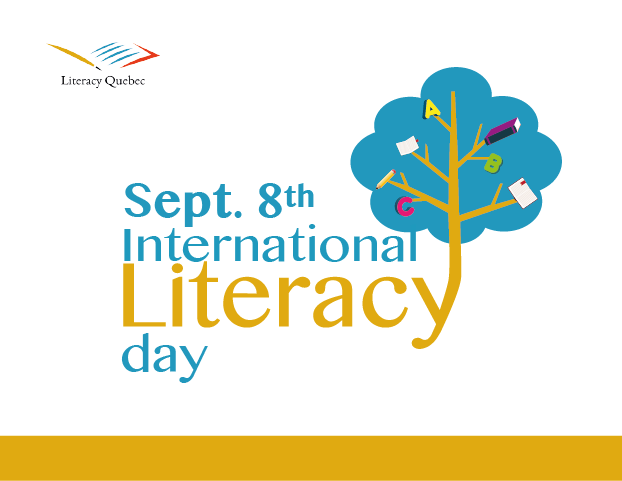 The Family Literacy Toolkit was developed by Literacy Quebec in partnership with the Silver Dollar Foundation. This Toolkit was designed for community groups and organizations who would like to host a family literacy event, but don't know where to start. It provides resources, a planning guide, and the best practices for this type of event. ​In 1965, UNESCO declared September 8 as International Literacy Day. To make celebrating even easier, we developed a Social Media Toolkit. Click on the button below to access the toolkit.